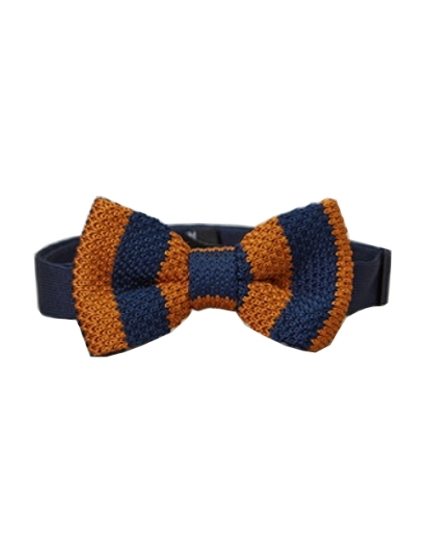 A preppy little bow tie in wide color stripes of burnt orange and navy. The chunky, textured bow tie is made of a silk knit. It measures 3.5" long by 2" wide for ages 2 - 8 years approximately. The band is elastic and the closure is velcro. Better brand bow tie from Isaac Micheal.